In recent years, urban bike rental program attracted more and more attention. They are a natural response to the desire of society as much as possible to use the bicycle as a vehicle in everyday life. After all, everyone knows that the bike has a less negative impact on the environment than any other transport. Initially, the concept of sharing bicycles revolutionary 60s evolved slowly until the emergence of new technologies has not stimulated the acceleration of its development. As a means of transportation for short distances in the city bikes have several advantages: they can reach underserved areas, they require less infrastructure and do not create congestion. In addition to this, they can be fairly inexpensive to buy and maintain, they do not produce harmful emissions and provide good physical activity to their users. Their importance is undeniable, given also that the bikes can increase the number of trips to other forms of public transport due to the fact that the buses and trains travel over longer distances. Over the past 40 years it has had three generations of bike rental systems. The first began in 1964 in Amsterdam campaign Witte Fietsen (White bikes). Ordinary bicycles were painted white and presented for public use. The man who found a bicycle, rode to where he was needed, and leave it for the next user. But not everything went according to plan, as the bikes fell into channels expropriated for personal needs and the program collapsed in a matter of days. The next generation came 30 years later, in 1995, in Copenhagen, when the campaign was launched Bycyklen or CityBike (City Bike). This was the improvement of the system compared to the previous. Bicycles have been specially designed for intensive use, with thick tires, the wheels have been placed on advertising and the bike dies could pick and return at specific locations in the city center by paying a small deposit. This stage was more formalized, were places where you could pick up and leave the bike, but the bike is still stealing professional thieves and anonymous users. The new generation of bike rental is not long in coming. In 1996, the university system in England Portsmus Bikeabout suggested to use a card with a magnetic stripe for students who want to rent a bike. This system follows the third generation have become "smarter" due to a variety of technological innovations, includes an electronic lock for the frame or the entire bicycle telekomunnikatsionnye systems, smart cards, access to a mobile phone and a trip computer. In subsequent years, BICYCLE developed slowly up until in Lyon, France, has been running a campaign Velo'v, and then boom. Prior to launch bike rental Lyon was not so much a city bike - cycling commit only 1.5% of trips. Once in town for bike favorable conditions were created in 2005 and presented its bike rental program Velo'v, the number of journeys by bicycle has increased. Since the launch of Velo'v velotrafik for the quarter increased by 500%. In June 2008, users Velo'v bike rental drove 1.5 million km, and from the start of hire in 2005 - 36 million. Km. If this is the distance traveled by car and not by bike, emissions into the air amounted to 7260 tonnes of carbon dioxide. When all learned about the cycling progress of the second largest city in France, the capital wanted to organize the same at home. In 2007, Paris launched its bike rental program - Velib, the park consisted of 10 600 bicycles, which soon turned into a 20 600. Due to this rapid breakthrough and success that surpassed all expectations, changed the course of history and bike rental appeared a huge interest in this mode of transport around world. In Ukraine, after independence, bike rental, of course, also exist. Deal with it, as a rule, fans of enthusiasts who have significantly different rates, whose work is dependent on the weather, and the bike park has not been updated. On this issue in 2008, we drew attention to the future owners of the company veliki.ua and in 2011 launched a network of bike rental throughout Ukraine. Other businesses in 2013 also decided to test the bike rental scheme in Kiev, which came to Western countries. Bicycles can be rented on Rusanovka, ride it up to m. Livoberezhna, and there surrender. 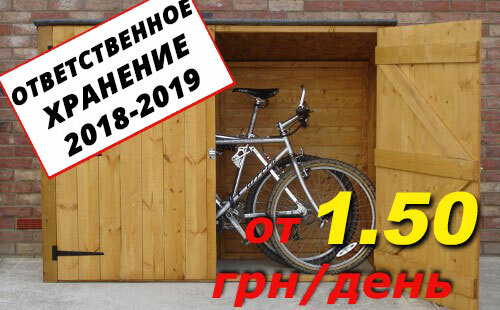 Apparently, the Ukrainian consumer is not yet ready for such schemes, but maybe after a while we come to the fact that the bike can be taken in rent in one place and give quite different. Today, in any of the 12 cities of Ukraine (the list of cities and points of hire can be found here). 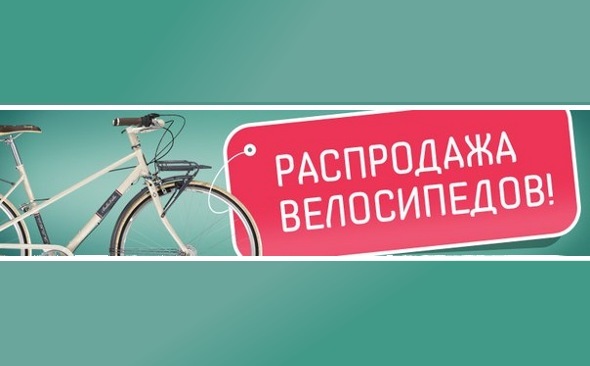 You can come to hire veliki.ua, rent a bike and enjoy a tour around the city.